An entertainment attorney claims script theft is "stock and trade of what Hollywood is all about"
With millions of people in the entertainment industry, there are always going to be people who have similar ideas, but at what point does it become theft? 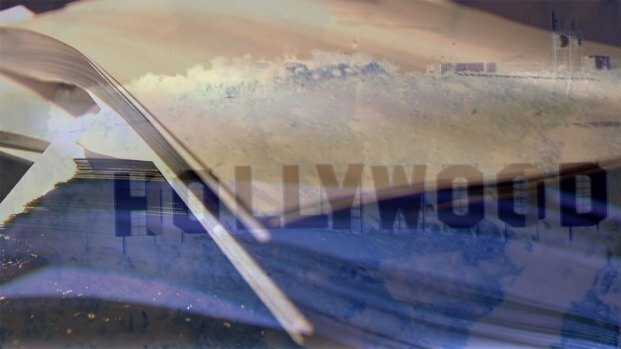 The NBC4 I-Team has learned some of Hollywood's most prominent entertainment attorneys claim stories are stolen by Hollywood all the time -- cheating writers out of the money and fame they deserve. Troll director John Buechler, producer Peter Davy and their attorney Tom Girardi believe their 1986 film shares many similarities with Warner Bros. "Harry Potter" series. For years, similarities in scripts have led to accusations, lawsuits and in some cases six-figure settlements. The filmmakers behind the 1986 B-movie "Troll" say they used the name Harry Potter long before J.K. Rowling did. "I was 'Harry Potter Jr.,'" said Noah Hathaway, who starred in the film as a young hero who saves his family from an evil troll. 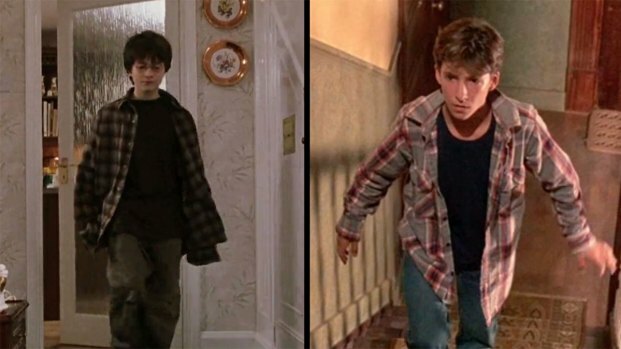 The makers of "Troll" claim there are many similarities between their film and the Harry Potter franchise, including the boy hero dressed in a plaid shirt, as seen in screen shots from "Harry Potter and the Sorcerer's Stone" and "Troll." Hathaway is best known for his role as Atreyu in "The Neverending Story," but he claims he still has fans ask him about being the "original" Harry Potter. The filmmakers behind "Troll" claim the name isn't the only similarity their film shares with the success of the Harry Potter film franchise distributed by Warner Bros. They argue both stories have witches, wizards and magic, a young hero named Harry Potter dressed in a plaid shirt, an old woman who gives Harry advice and an evil villain who hides his essence in someone close to Harry. Entertainment attorney Tom Girardi is now representing the filmmakers, who plan to release a new film titled "Troll: The Rise of Harry Potter Jr." in 2017. Writer-director John Buechler’s script for Troll mentions the name "Harry Potter Jr." several times. "This is our stuff," he said. "We did that in the late 80s." Warner Bros. and J.K. Rowling disagree. "The claim is ridiculous," a spokesperson for both parties told NBC4. 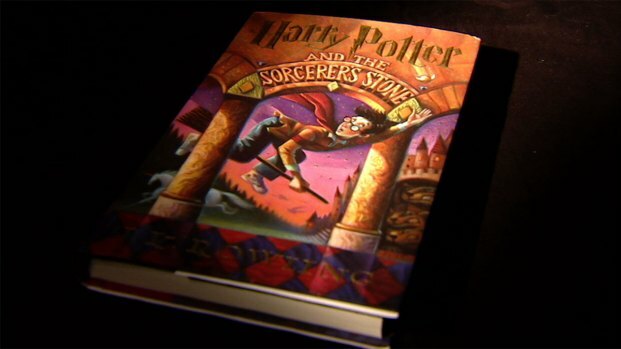 J.K. Rowling’s first book, "Harry Potter and the Philosopher's Stone," was first published in 1997. Warner Bros. bought the film rights in 1999. So why now, after seven J.K. Rowling books, eight blockbuster films, a theme park in Orlando and another soon to be built at Universal Studios Hollywood? Filmmakers John Buechler and Peter Davy want to go on the record with their plans, having now signed Academy Award-winning actress Patricia Arquette to star in the animated remake. "(It) could be confusing to some people who are big fans of Harry Potter," entertainment investigative reporter Jenna Susko said. "We wanted to make sure that we weren't going to be accused of plagiarism," Davy said. Harry Potter isn't the first Hollywood blockbuster to be hit with accusations of stolen ideas. It has happened to films like "Pirates of the Caribbean: The Curse of the Black Pearl," "Avatar" and most recently "Raging Bull." Some studios suggest it happens more often with the big moneymakers, because writers may be looking for a piece of the box office success, but Hollywood also has a documented history of using other people's ideas. In 1990 a judge determined Paramount's Coming to America was "based upon" another writer's story. Paramount settled the case. And in 1991, a judge determined the comedy "Look Who's Talking" had "substantial similarity" to another writer's script. That case settled as well. The latest high-profile case is FOX's TV comedy "New Girl," which two women claim shares many similarities with a script they wrote in 2006, including a young woman who moves into a three-man bachelor pad after a breakup with a guy named Spencer. They're now suing for copyright infringement. Entertainment attorney Neville Johnson takes on cases of stolen ideas in Hollywood. "It happens all the time with regularity," he said. "The reason you don't hear about it is because of the politics involved." Some prominent entertainment attorneys claim scripts for television shows and movies are frequently stolen in Hollywood. Johnson argues Hollywood knows it can pay off some writers to agree to confidentiality agreements. That's why he says the most blatant examples of idea or script theft never make headlines. But some writers refuse to settle, like the two women who say New Girl stole their script. In court records, they claim FOX offered them "$10,000 to settle" the case. "Great ideas are hard to come by and are few and far between," Johnson said. "This is the stock and trade of what Hollywood is all about -- is a good idea." Buechler, who created the name Harry Potter Jr. for his 1986 film, said family matters prevented him from suing when J.K Rowling's book series came out. The Harry Potter logo is now trademarked by Warner Bros., which issued a statement in response to the "Troll" filmmakers' claims. "We will vigorously defend our intellectual property rights and challenge any unlawful attempt to capitalize on the extraordinary success of the Harry Potter franchise, as we told the filmmakers years ago." But the makers of Troll said that won't prevent them from remaking their film. "Even if someone who took it for a while makes it more valuable, that doesn't take anything away from the fact that this is ours," he said. "We have the right to make our stuff over and over and over again." While the Harry Potter logo is trademarked by Warner Bros., the name itself cannot be trademarked. When asked whether the makers of "Troll" plan to sue Warner Bros. for infringement, they told NBC4 they just want to be able to make their new film. To protect a script or screenplay, writers can apply to the U.S. Copyright Office in Washington DC. The Writers Guild of America also offers services to register scripts and intellectual property to help protect writers and their work - even for writers who are not members of the WGA.